Alan Lane – D. L. Newslow & Associates, Inc.
With over 30 years of diverse manufacturing experience, Alan is a strong leader recognized for improving manufacturing competitiveness, leading change, and developing staff potential. 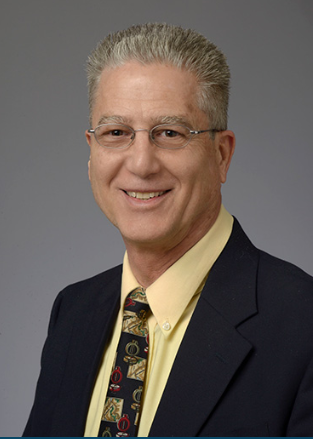 Throughout his career in operations and quality management, Alan has delivered innovative and timely solutions to business challenges involving lean six sigma, training & development, quality assurance, continuous improvement, problem solving, food safety and ANSI/ISO/ASQ-9000 standards compliance. Alan is a seasoned project leader and trainer. He has led Lean Manufacturing initiatives including 5S, Value Stream Mapping, Total Productive Maintenance, Set-Up Reductions, Critical Spare Parts and 1st Piece Inspection projects that have returned significant savings and cycle time reductions. Alan also drove the successful implementation of ISO 9000 registration at two facilities. Alan’s previous positions include Operations Manager, Director of Quality, and Continuous Improvement Coordinator and for both small and large companies in union and non-union settings. His experience crosses a wide variety of industries including aluminum can making, labels, folding cartons, electronic devices and paperboard container production. Alan is a Certified Lean Six Sigma Master Black Belt and a TWI Institute Certified Trainer for Training Within Industry (TWI) Job Instruction, Job Methods, Job Relations and Job Safety programs. He is a Certified Production Technician (CPT) Instructor for all five CPTAE programs: Safety, Quality Practices & Measurement, Manufacturing Processes & Production, Maintenance Awareness and Green Production. Certifications also include ISO 9001:2015 and AS9100c Lead Auditor. Alan holds a Masters of Engineering & Quality from Kennedy-Western University and B.S. in Industrial Arts Education from the State University of New York at Oswego. He is a Senior Member of the American Society for Quality (ASQ).